Mike Dallas is most engaged helping others to exert their rights, that is why he is such an effective advocate for the clients at Frekhtman & Associates. He puts as much passion into fighting for a citizen’s right to a fair monetary award after being subjected to Excessive Use of Force, as he has when fighting against environmental contamination. Mike won a significant award for a young student that was carelessly mistaken for a bank robber, by the authorities. He was involved in litigation against Exxon Mobil for underground storage tank explosions in Greenpoint, Brooklyn. He was involved in representing the First Responders and New York City employees that were injured by the inhalation of toxins at the World Trade Center after the 9/11 Terrorist Attacks. 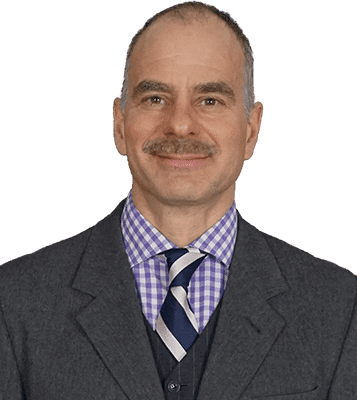 Mike Dallas is most engaged helping others to exert their rights, that is why he is such an effective advocate for the clients at Frekhtman & Associates. He puts as much passion into fighting for a citizen’s right to a fair monetary award after being subjected to Excessive Use of Force, as he has when fighting against environmental contamination. Mike was educated at the University of Michigan, in Literature, Arts and Science. He studied law at the University of Cape Town, where he was a volunteer teacher in a South African township. He has been a volunteer lawyer for women against domestic violence in the Bronx, and a volunteer attorney for homeless persons. Mike takes a vigilant interest in cultural, environmental, political and technological developments in our society and our laws, and keeps his focus on solutions. When he first arrived in New York he worked at an investment bank, raising funds for the Dana-Farber Cancer Institute, for the development of life saving drugs. He then worked in Film and Television Production for New York based shows including Comedy Central. Then, he finished his law studies and has been a member of the New York State Bar, and the Federal District Court, SE Michigan, for over 10 years. Mike grew up in a large extended family in Detroit and now lives in New York City. Mike won a significant award for a young student that was carelessly mistaken for a bank robber, by the authorities. He was involved in litigation against Exxon Mobil for underground storage tank explosions in Greenpoint, Brooklyn. He was involved in representing the First Responders and New York City employees that were injured by the inhalation of toxins at the World Trade Center after the 9/11 Terrorist Attacks.